Scientists have recently discovered the truth that we do not know and do not believe. For a long time, we have made several observations for the last 50 years and have three moons on our land with sufficient evidence. 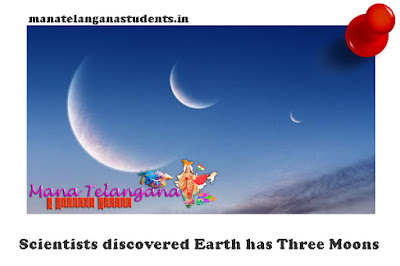 According to a recent National Geographic Report, according to a report by Hungarian astronomers and physicists, the Earth has three moons, but the researchers have confirmed their existence by photographs of natural materials at a distance of approximately 250,000 miles (equivalent or near) to the visible moon. However, they are completely dusty, so they are called "dust moons". This study was published in the Royal Astronomical Society's Monthly Notices.